I’m pedalling as fast as I can. Cycling is a great way to get around the city. Piccadilly and Oxford Street are the stars of this trail which offers views of the City’s grand architecture and historical squares. Take a stroll along some of London’s most scenic streets with our free Discovery Trails. We’ve put together six unique colour-coded walking routes across the historic city centre that will take you on a journey of discovery to the greatest sights and sounds of London. Keep an eye out for official Games mascots Mandeville and Wenlock, who’ll be bringing the trails to life and highlighting some great photo opportunities. Each will be individually designed, animating the routes in a unique way that captures the spirit of London. Why not try all of the trails and see if you can get a snapshot on camera? 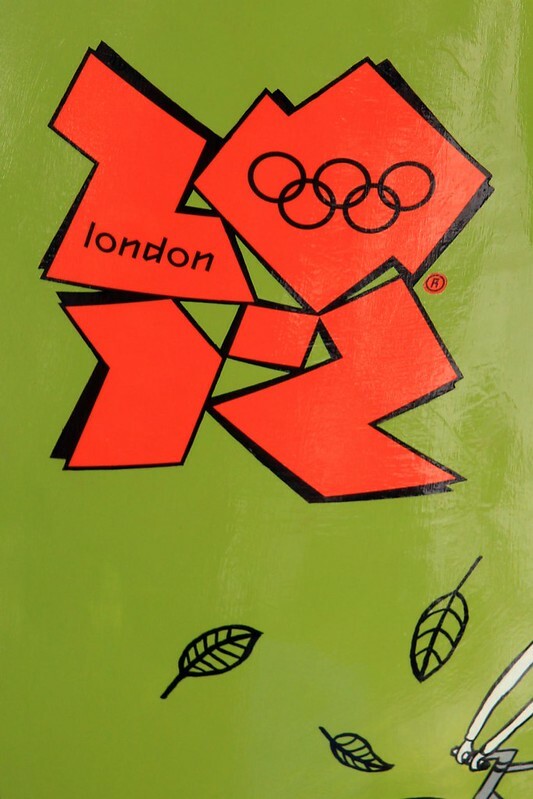 The 84 official Wenlock and Mandeville sculptures will be in place for two months from mid July to the end of the Paralympics and are part of the Mayor of London Presents programs of free cultural events and attractions being staged across the capital to celebrate the Games. Mounted on concrete plinths, each fibreglass figure will be 2.3 metres high and weigh one tonne. They have been decorated by 22 designers to reflect their surroundings. The £490,000 scheme is being promoted by Mayor Boris Johnson, who has overseen similar public art events, including life-sized baby elephants and Fabergé eggs mounted on plinths around the capital. Image published by Karen Roe on 2012-11-16 19:37:45 and used under Creative Commons license. What is your favourite place in London?